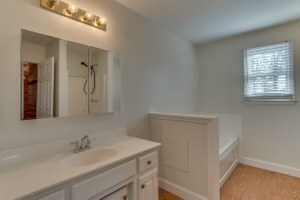 The Residence is a 2600 sq ft of cozy low-maintainence Cape Cod style and design. 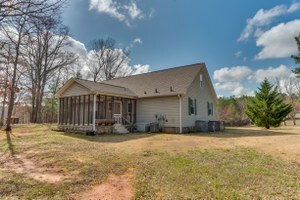 With 3-bedrooms and 3-baths this is a modest yet useable country farm home. 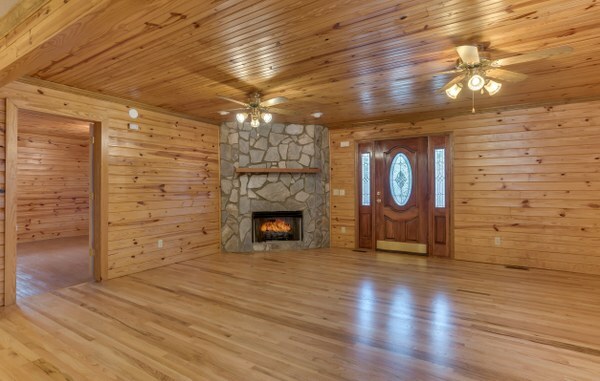 The Living room is cozy and comfortable offering gas log fireplace and rich pine tongue and groove paneled walls. 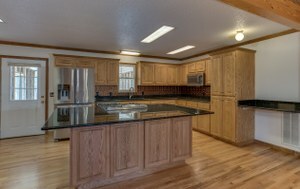 The open floor plan between kitchen and living room allows lots of natural light and a free roaming feel to the home. 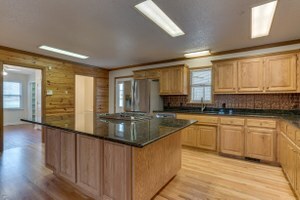 The Kitchen is a galley style set up with a breakfast nook, pine cabinets and modern appliances. Stove, dishwasher, and dual microwaves compliment the chef. 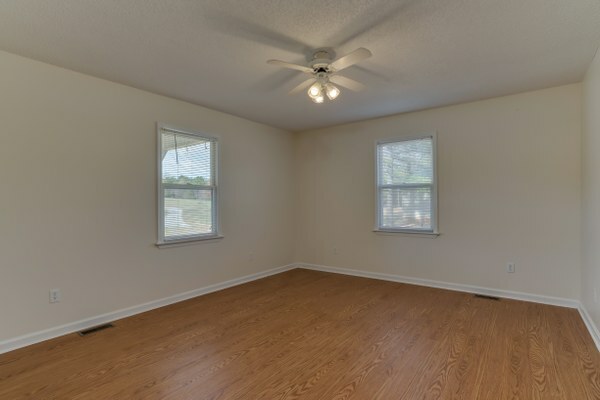 Low maintenance hardwood floors abound throughout the home. Master Bedroom and bath suite offer privacy from the guest bedrooms and features an oversize tub, separate shower, private balcony and entry. 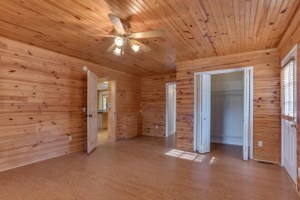 Notice tongue and groove paneled walls and ceiling with warm rich hardwood floors below. 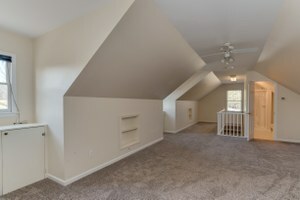 The Guest Bedroom is bright and roomy and can double as an office. 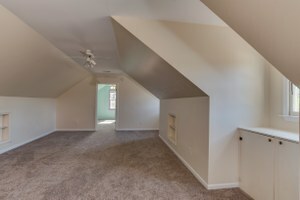 The Bonus Room or 3rd bedroom suite offers a sitting room, separate bedroom and pullman style bath. 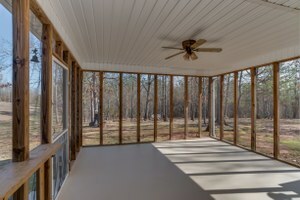 Enjoy this delightful screened porch off rear of home. The Garage is a detached single car with area for a workshop. 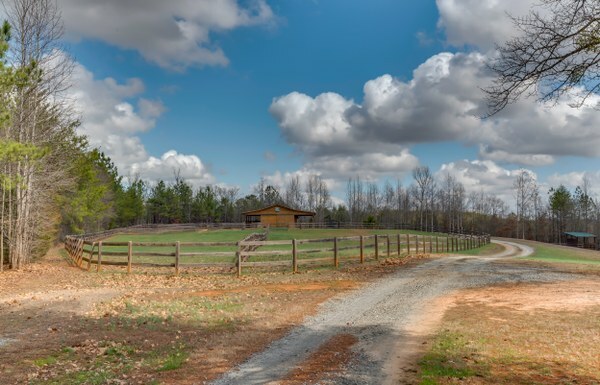 Views toward the main road are private and enjoy a long yard or additional pasture for horses or other livestock. 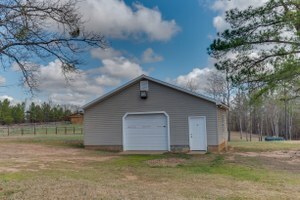 The Custom Barn designed for a professional utilizes 3 stalls with a shedrow overhang and seperate paddock access from each stall. The truck and trailer parking has been designed to maximize efficiency and space. Note the shaving bin with its roll top design allowing easy access to load and unload shavings. Wash Stall, hay storgage in the loft and wide isleway with roof overhang to keep the farrier out of the elements. Pasture | Paddocks with 3-board fencing attached to barn. The Pond is stocked and spring fed from an elaborate catch basin with a pump and aerator system. The shoreline is sabilized with beach sand making access by either horse or swimmer easily accomplished. Pond in full view looking back towards home. Hay field or addtional pasture. Viewed from the front of house out towards WV Thompson Rd. Additional building site looking from the pond. This site has power and septic from previous manufactured home site. Riding arena with all weather footing. Home was renovated extensively at purchase with the living room and kitchen having white pine tongue groove wood planks installed on the vaulted ceilings. Hardwood floors refinished, new rugs in master bedroom remolded master bathroom and installed window and private balcony off master suite. New well pump, whole house filter system. New 8 kw emergency generator system with auto start. 3 stall custom built barn with separate turnouts from each stall. Wash rack, covered farrier work area, hot water and hay storage. Shaving containment shed with rolling top for easy loading. Additional Fenced and cross fenced paddocks. 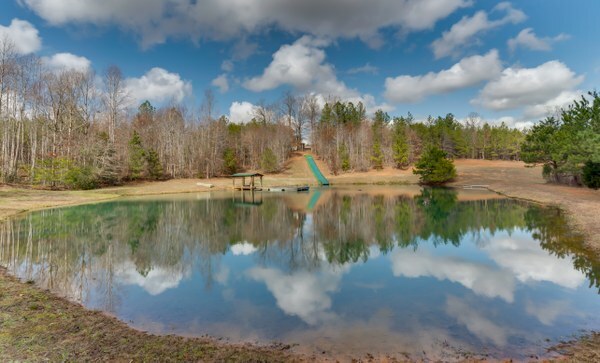 Extensive riding/walking trails with natural jumps and creek crossing. Clear pasture not fence can be utilized for hay or facilitate more horses. Cross-country jumps including a bank complex. 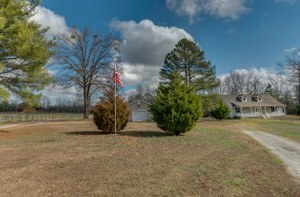 Fenced pasture and additional planted unfenced pasture available with fencing. Extensively planned drainage system to minimize errosion.